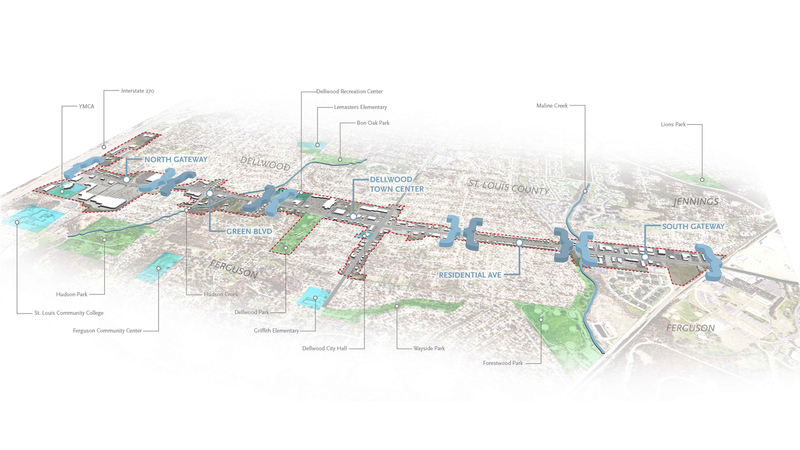 The West Florissant Avenue Great Streets project is a visionary undertaking that will redesign a two-mile regional arterial that runs through the cities of Dellwood and Ferguson in St. Louis County, Missouri. While the goals of the finished project are transformative – improving traffic and pedestrian safety, while revitalizing the corridor and providing the community a renewed sense of pride – the work itself is already paying dividends to several community members. 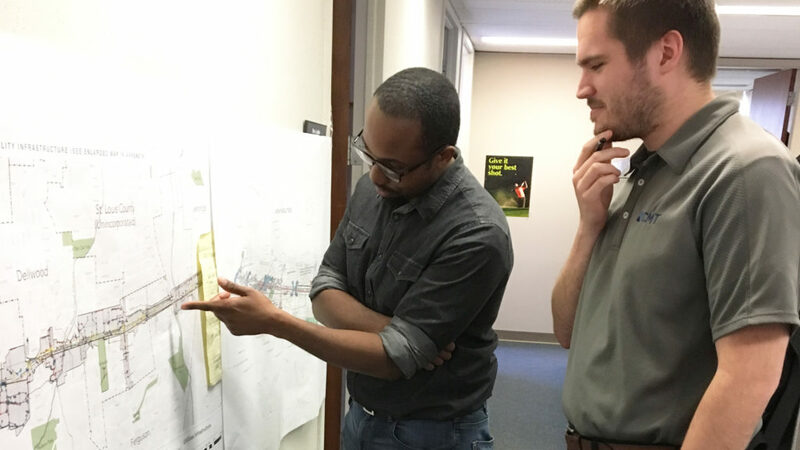 A unique internship program was initiated that has been honored by the Missouri Department of Transportation’s Civil Rights Division for encouraging diversity and minority community involvement on a major infrastructure project. Eight students – who hail from the Dellwood and Ferguson area and are currently studying engineering – have participated in the internship program. The program was created when CMT and its subconsultants partnered with two area schools, St. Louis Community College (SLCC-FV)-Florissant Valley and Harris-Stowe State University (HSSU), to provide the students an opportunity to apply their studies in a real-world setting that is bettering their community. 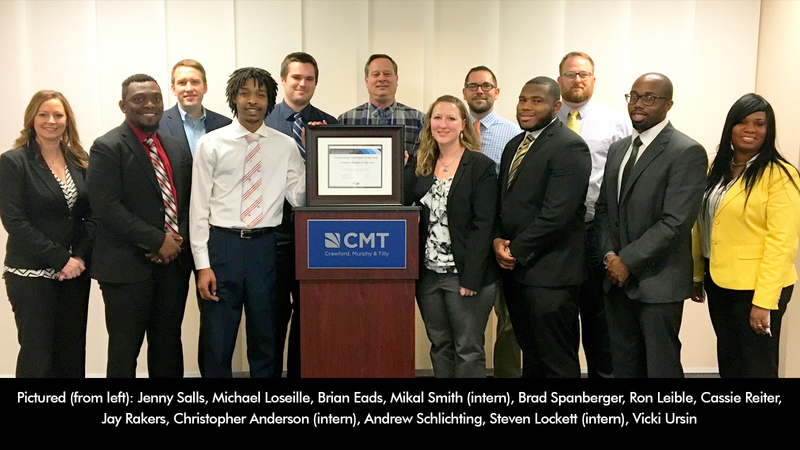 While typically engineering internships are focused on construction observation and inspection, CMT wanted to provide an experience that is both challenging, and directly related to what the students were being taught in their college courses. Steven Lockett is a former SLCC-FV student now studying electrical engineering at Southern Illinois University-Edwardsville (SIU-E). He said his work on the West Florissant project has opened his eyes to everything that is involved with executing a major civil infrastructure project. “My school work gave me a general idea of what goes into a project, but during my internship I’ve learned that funding and resourcing are just as important as plan sheets,” Lockett said. For Chris Anderson, another SLCC-FV graduate studying electrical engineering student at SIU-E, the internship experience has helped to reaffirm his chosen field of study. “It’s not only helped me to rise to the challenge of becoming an engineer, but also to help others to strive to become engineers, because it’s an excellent career path,” Anderson said. In addition to the technical skills they are developing, they are being exposed to other important aspects of the job. The interns attend meetings with clients so they can develop the professionalism and customer relation skills that will allow them to advance their careers. They are also being introduced to how infrastructure projects can provide benefits beyond their primary function. “Corridor reconstruction is not just about roadway improvements. It’s also about aesthetics and how it makes the public feel,” said Diamond Cottman, a civil engineering student at St. Louis Community College at Florissant Valley. While the interns are benefiting greatly from their experience, they are also proving to be an integral part of the project team. As vested members of the communities being served, they offer valuable insights that help to inform decisions. 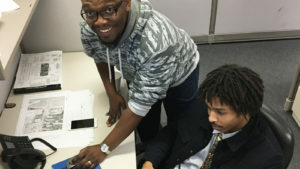 In addition to the three interns quoted above, three other engineering students are participating in the program: Curtis Collins, engineering science at St. Louis Community College-Florissant Valley; Mikal Smith, mechanical engineering at Harris-Stowe State University: and Jean Richard Kraka, mathematics and civil engineering at Harris-Stowe State University. Tyrone Griffin from the Ferguson Youth Initiative also served as intern.